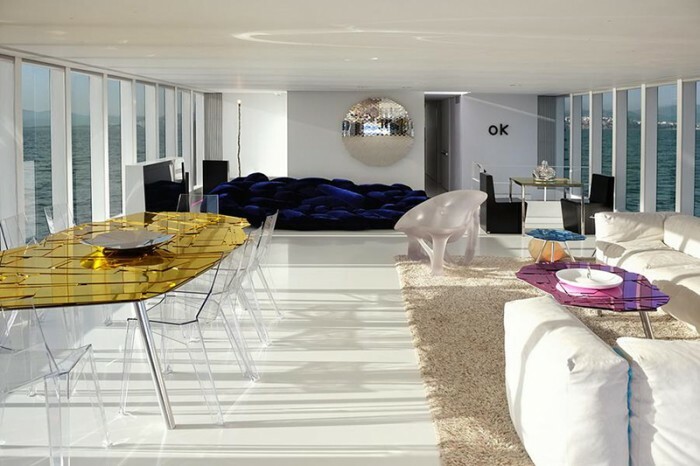 Greek Cypriot industrialist and art collector Dakis Joannou recently commissioned Jeff Koons and Italian yacht designer Ivana Porfiri to design him a mega yacht. A floating piece of art, “Guilty” measures in at 115-feet long and ranks as Koons’ largest project to date. 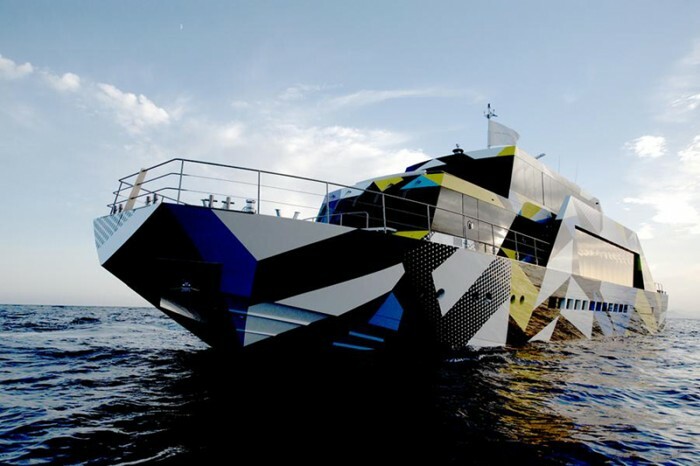 Inspired by British naval camouflage from World War I, the yachts exterior features bold geometric designs that include alternating yellow rhombuses, pink triangles and blue polygons. 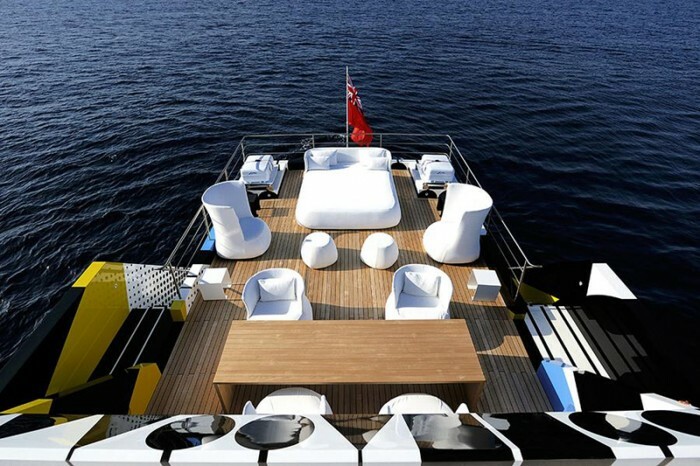 The yacht’s interior walls and ceilings are all white, with extremely large windows to maximize natural lighting. Highlighting the space, a central staircase turns from pinkish violet to galactic blue and finally warm yellow. 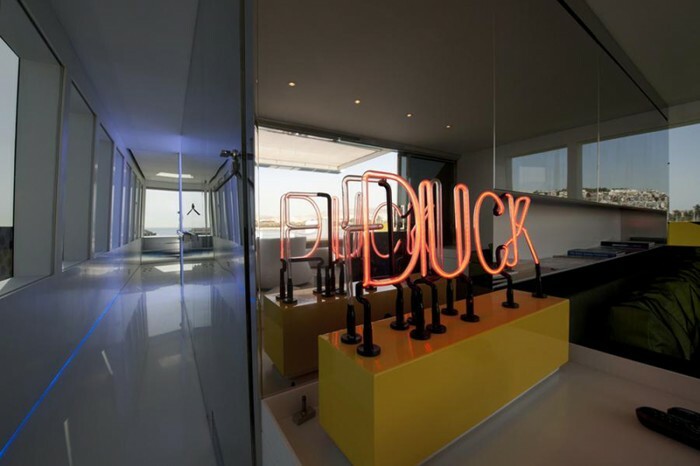 The main cabin encompasses the top deck, with 180-degree views and the word “Feelings” hanging in neon lights above the bed, the master bedroom also has a private terrace. The four guest cabins feature “museum-worthy” works, while the living room is decorated with Italian Radical Design furniture.